Gary Poppins Lite Popcorn in Simply Sea Salt - I'm a popcorn lover and will try any brand of popcorn at least once. This is the first time I'm hearing of Gary Poppins and my first thought was that the brand name sounds fun - and that umbrella, it's just like Mary! 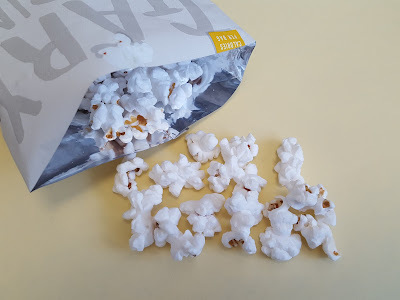 :) I received the lite version in my box aka the healthy one which has olive oil rather than palm oil like buttered popcorn has (i.e. less saturated fat). That and sea salt for flavoring. That's all that's in here. I'm more of a buttered popcorn kind of gal so I can't draw a conclusion on the brand based on this lite version. I guess it tastes okay considering it's healthy popcorn, and at only 90 calories per bag you can't really go wrong. 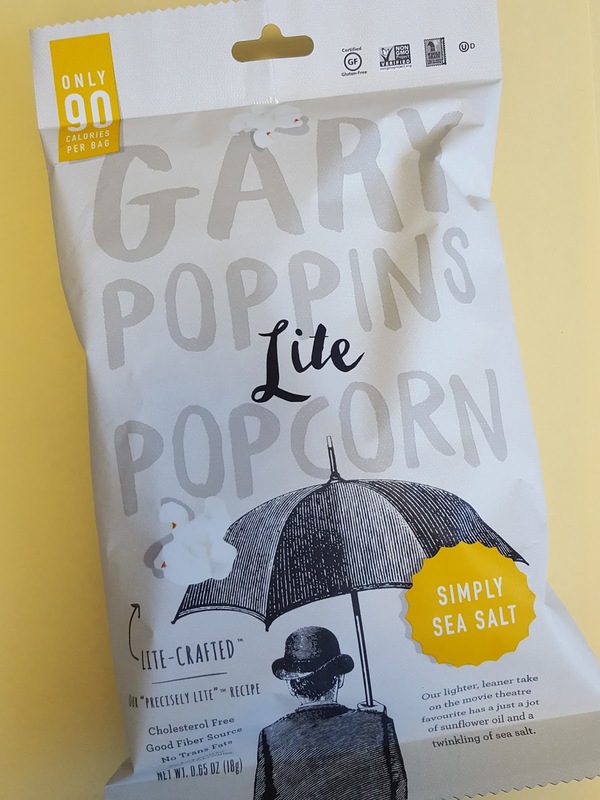 Gary Poppins also makes kettle corn too so I'll probably give that a whirl. Herr's Popped Chips Tangy BBQ flavor - If you're the kind of person who loooves potato chips but hates how fatty they are, try these instead. 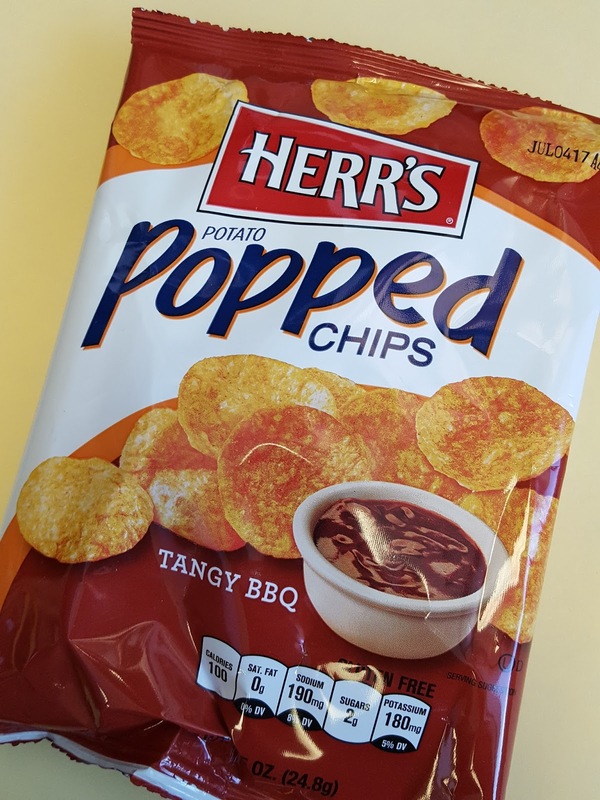 Popped chips have all the flavor and half the fat of regular potato chips (not to mention no saturated fat!). In fact an entire snack size bag is just 100 calories! 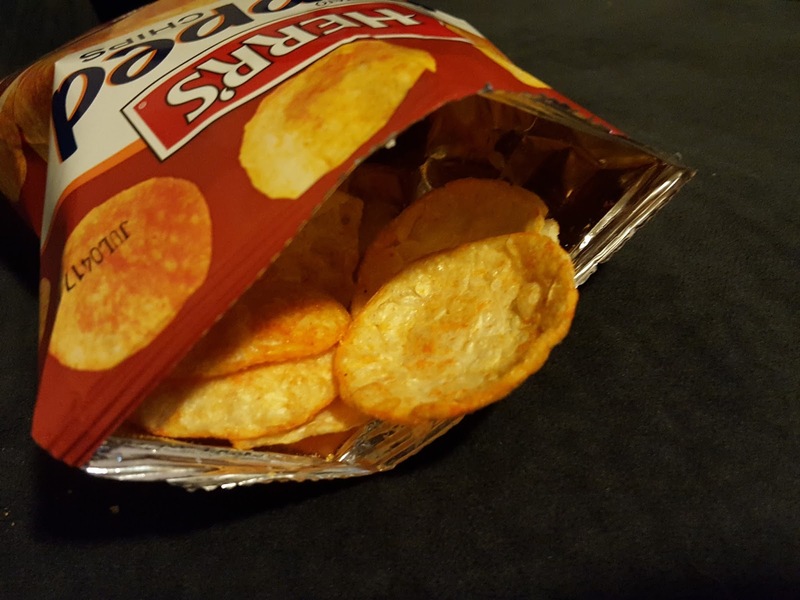 Plus since each chip is puffed and airy it tricks you into thinking you're eating more than you really are. This bag was still gone in under 5 minutes, though. They're just that good. 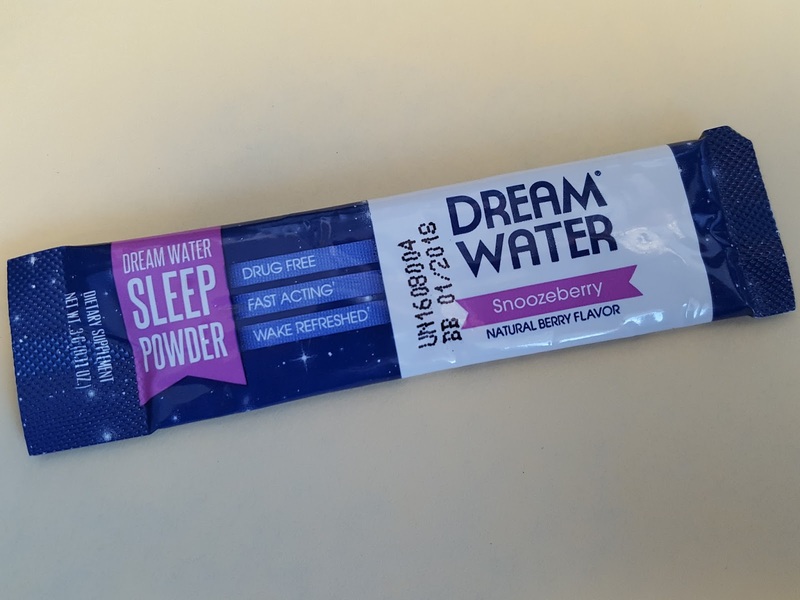 Dream Water in Snoozeberry - Dream Water contains gamma-aminobutyric acid (GABA) which indirectly regulates brain activity, melatonin to regulate your sleep cycle, and 5-HTP to stimulate melatonin production. I remember trying a bottle of this sleep aid a while back but don't recall if it worked. 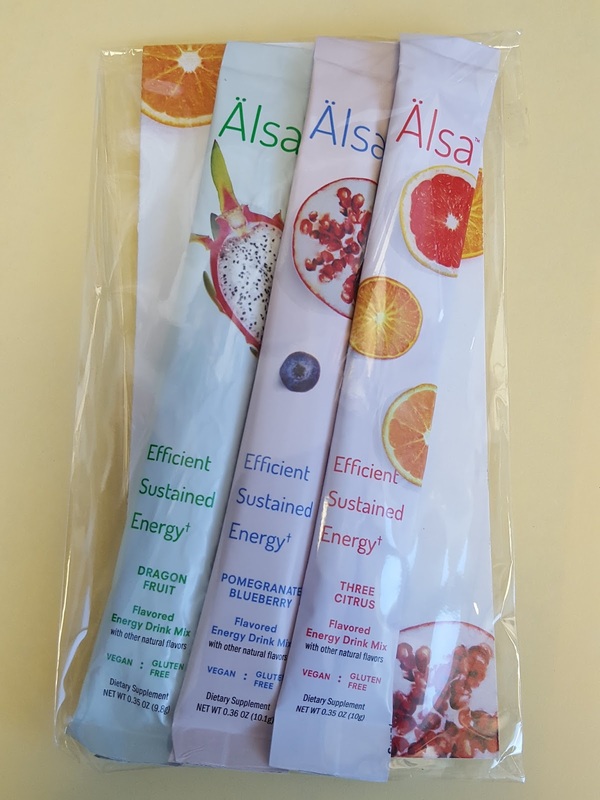 The powder mix tastes similar to the pre-made drink; I added one stick to one cup of water but you can adjust it according to what tastes best for you. I took it on one of those nights when you're wired but have to be up in 4 hours for work. The pack says to allow 30 minutes for it to kick in so I waited. And waited. I eventually fell asleep after an hour. Maybe it just took a while for it to kick in, but I think it's more likely that I just fell asleep because I got so bored staring at a blank wall. Em+Pact Protein and Energy Bar in Maple-licious - Their mission is simple: empower women to impact their lives, families, and communities, starting with healthy energy bars. When you eat well you feel like you can take on the world. 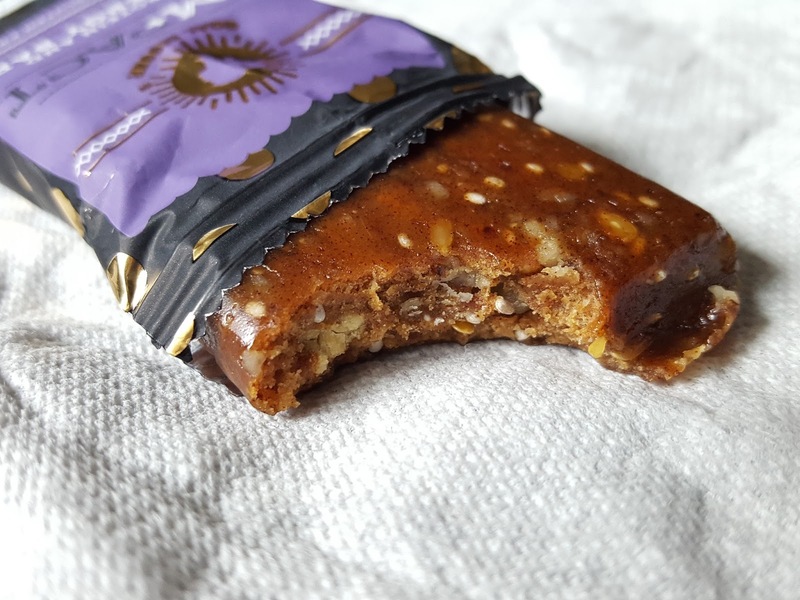 This all-natural, non-GMO bar has 10g of protein to aid in tissue recovery and maintenance to keep your body running smoothly. The first thing that came to my mind when I took a bite was that it's chewy like a Power Bar. I didn't care for this particular flavor too much, though - I like pecans but could only taste the maple and chia seeds. Em+Pact also makes coconut and chocolate cherry flavors. I'm thinking I'll look for the chocolate cherry one next. Mmmm, cherry cordials. Raw Rev Superfood Bar in Chocolate Chip Cookie Dough - Raw Revolution (Raw Rev for short) makes organic vegan nutrition bars. They never use GMOs or artificial ingredients so you can be confident about what you're putting in your body. 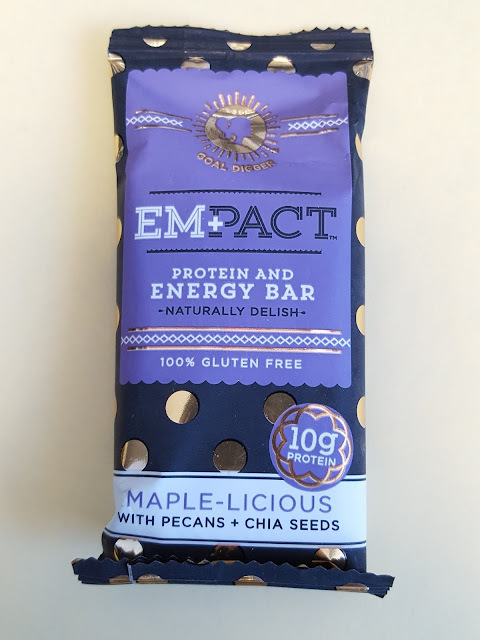 Like the Em+Pact bar, this one has the texture of a Power Bar but I liked the taste of this one a lot more. 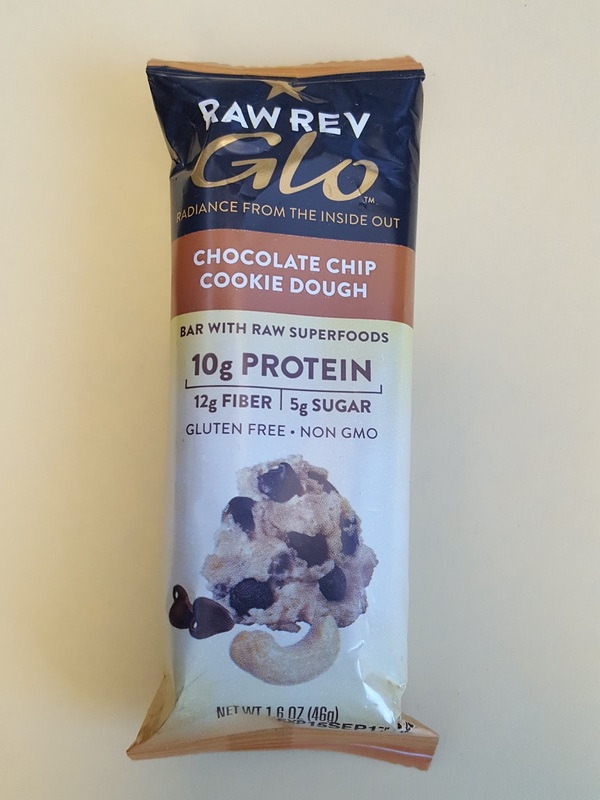 Maybe it's because I'm a sucker for anything that sounds like an ice cream flavor, but I found this to be very tasty (I could even taste whole chocolate chips in here which gave this bar major brownie points). 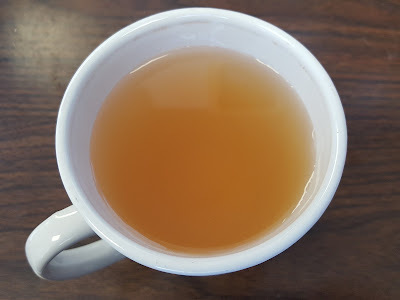 In fact, it was so yummy that I forgot to snap a photo after the first bite...sorrynotsorry. 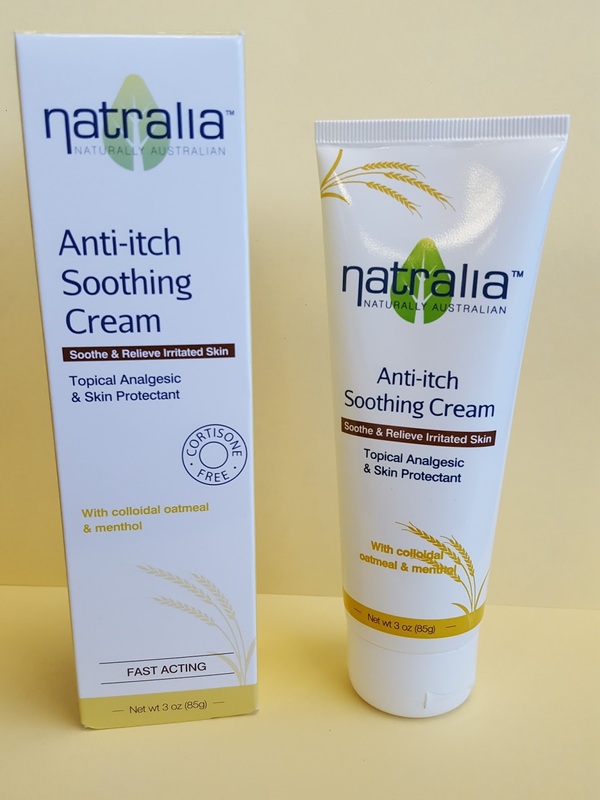 Natralia Anti-itch Soothing Cream - Bug bites? Sunburn? Rashes? Natralia it. This brand specializes in skin care, especially when it comes to dry skin and itchiness. Lots of creams use hydrocortisone to quell inflammation, but prolonged use of topical steroids can leave skin brittle. 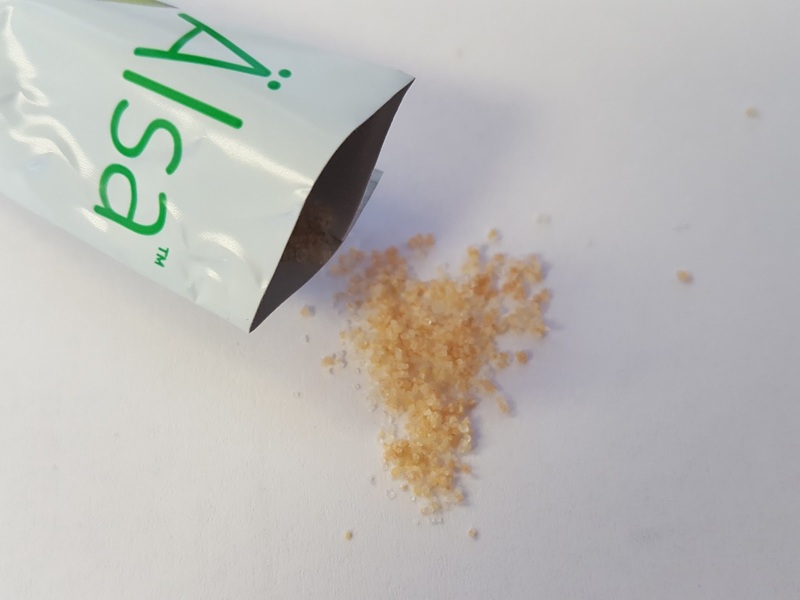 Natralia's cortisone-free formula uses colloidal oatmeal and menthol to soothe itchy, inflamed skin. I used it on a bug bite and didn't think it did anything to soothe the itch, but I try to be fair and give things at least three chances to prove itself. My hands have been really dry lately; I wonder if it works on dry skin? 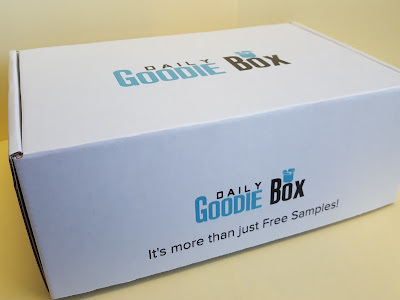 Verdict: I was impressed with the quality of products included in this box. If you do a little further reading on the brands you'll find that most of them put out products with consumers' health in mind. I also liked that almost everything in here was brand new to me; out of the seven items in here, I had only heard of one of the brands before. 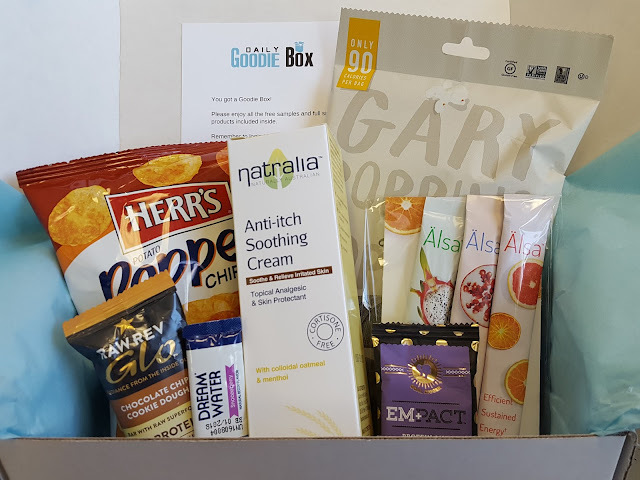 Personally, this is what I feel a consumer review box should be about - connecting up-and-coming brands with an audience. It's a great way to get the brands' name out while also getting feedback about what did and didn't work. 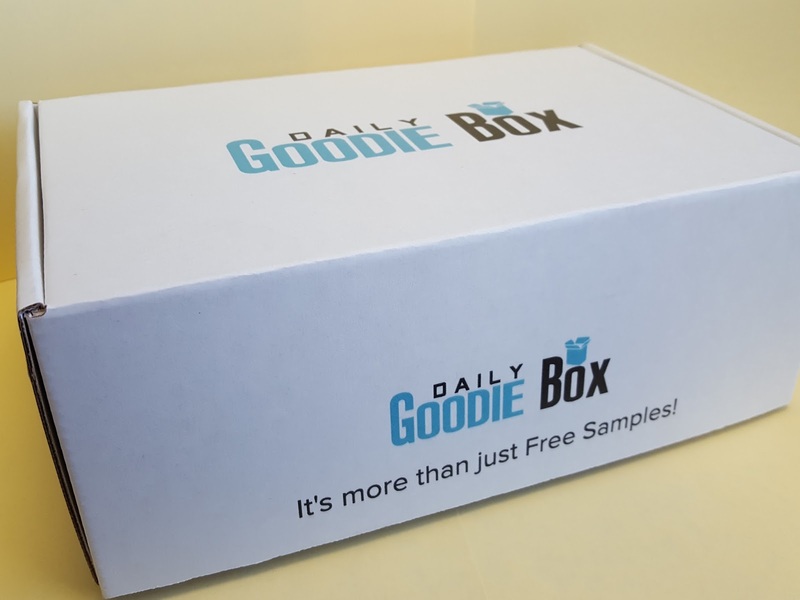 If you're interested in product testing and reviewing, sign up for a Daily Goodie Box here. They are shipped based on availability so you may not get one right away but sit tight and hopefully one will come your way soon. When you do receive it, don't forget to sign in to your account and leave your reviews so you can qualify for another box!